For use with a caulking gun, this is a professional product that is superior to general purpose high tack adhesives, found in DIY shops. This is due to it’s flexible elastic rubber movement, which accommodates up to 20%, and because it gives primerless adhesion even on damp surfaces. A multipurpose, high tack adhesive. 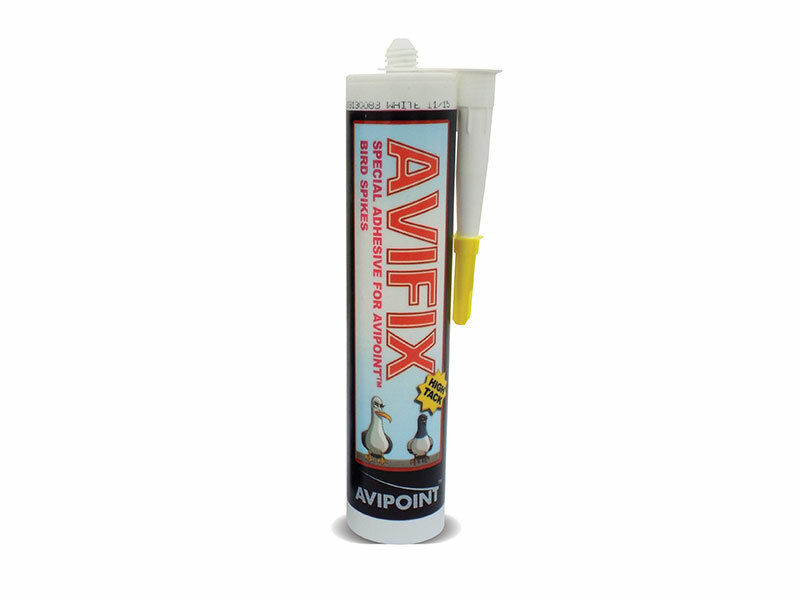 Avifix “High Tack” can be used for fixing AVIPOINT™ Bird Spikes where the surface is damp. It offers outstanding initial grab and excellent adhesion on most building materials such as brick, stone, metal, glass, wood, PVC, GRP and nylon.